I usually take my coffee black, but after this taste test, I might be changing my order. Summer is coming, and I’ve already switched to iced coffee, but at Buzzfeed, they had an even better idea. 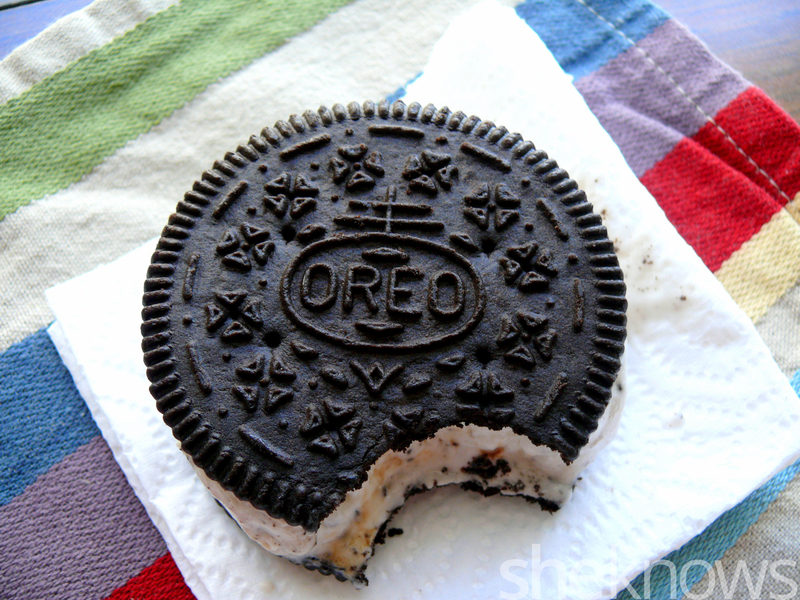 What if you mixed your coffee with… an ice cream sandwich? What if, indeed! The thought nagged at me, and I knew I wouldn’t rest until I tried it for myself. I went to the store and scooped up a ton of ice cream sandwiches (and a bag of spinach so my basket looked sliiiightly healthier) along with two enormous unsweetened iced coffees. I got a pretty good selection of ‘wiches: classic, Neapolitan, Oreo and Thin Mint ice cream treats. The first thing you need to know is that if you want a nice, thick, milkshake texture, then you want to use less coffee than you’d think. 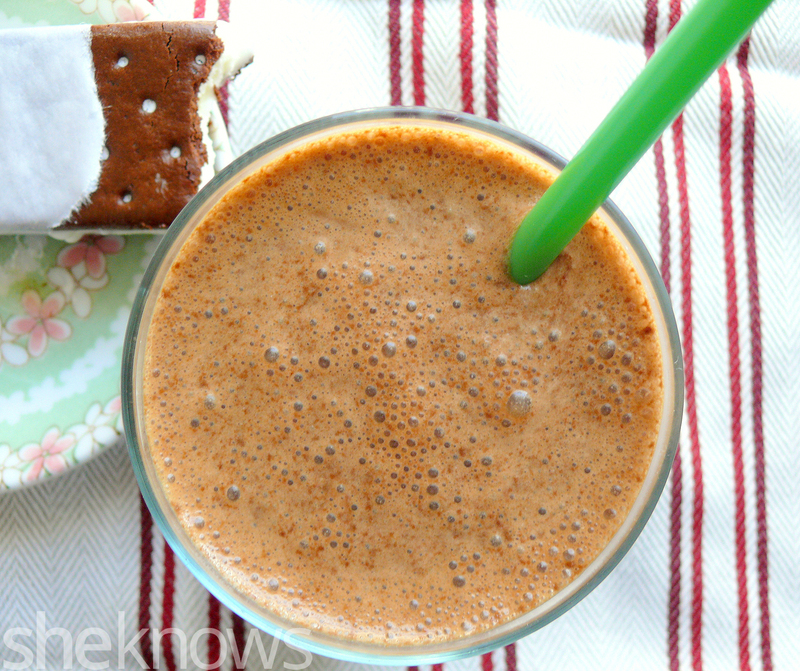 This is more of a dessert than a typical pick-me-up morning coffee drink anyway. 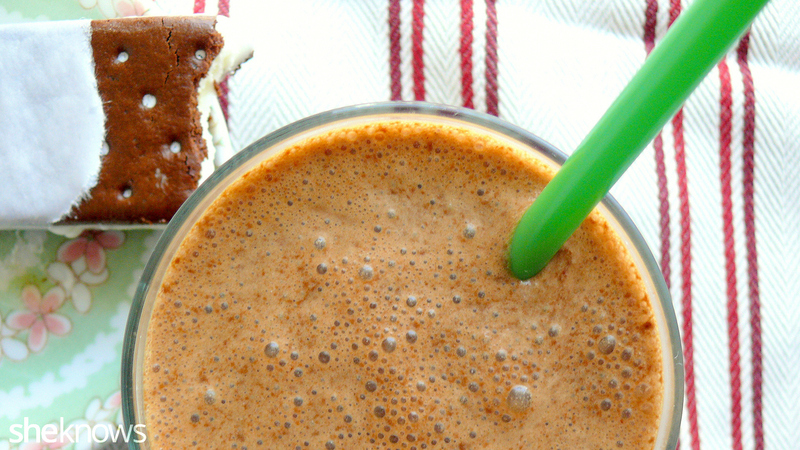 Remember: It’s way easier to add a bit more coffee than having to use up an entire extra ice cream bar. I used about 1 cup of iced coffee and 2 to 3 ice cream treats in my tests. The result? This was pretty great. You could still taste the coffee, but ice cream and chocolate were definitely the most pronounced flavors. I initially thought the chocolate sandwich part might be kind of weird, but it actually helped thicken things up. 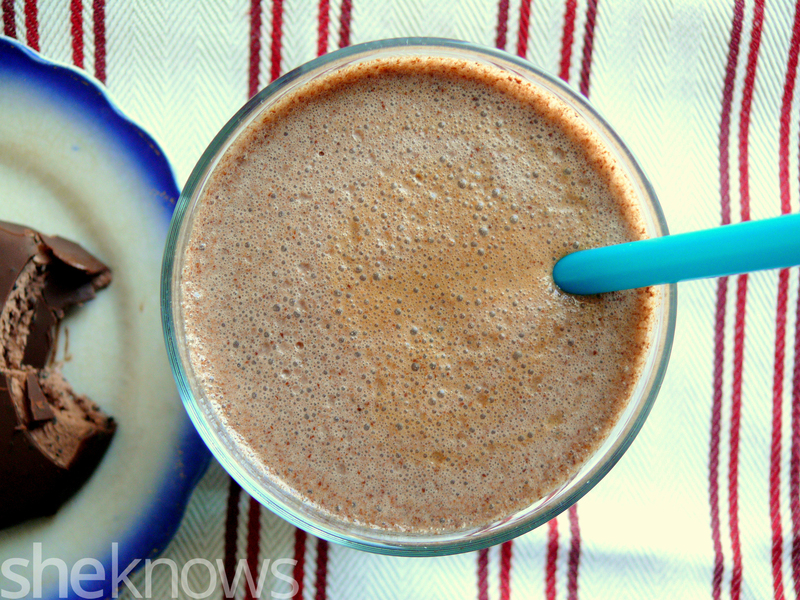 If you love shakes or blended coffee drinks, then you’d love this. This one was even better. Because there was chocolate in both the ice cream and the sandwich, this shake was a lot richer tasting, but the hint of strawberry kept it from being too overwhelming to my palate. I had high hopes for the Thin Mint bars. Mint and chocolate, right? Thin Mints! How could I go wrong? These were coated in a thin chocolate shell, which I initially thought would make for a smoother finished beverage. I was sadly mistaken. Instead, the shell broke off from the ice cream in the blender and just stuck to the sides of the carafe. And since there was no cakey sandwich, this combo was a lot thinner too. The flavor was there, and the ice cream bars themselves are totally awesome, but I would have to give this combo a thumbs-down. 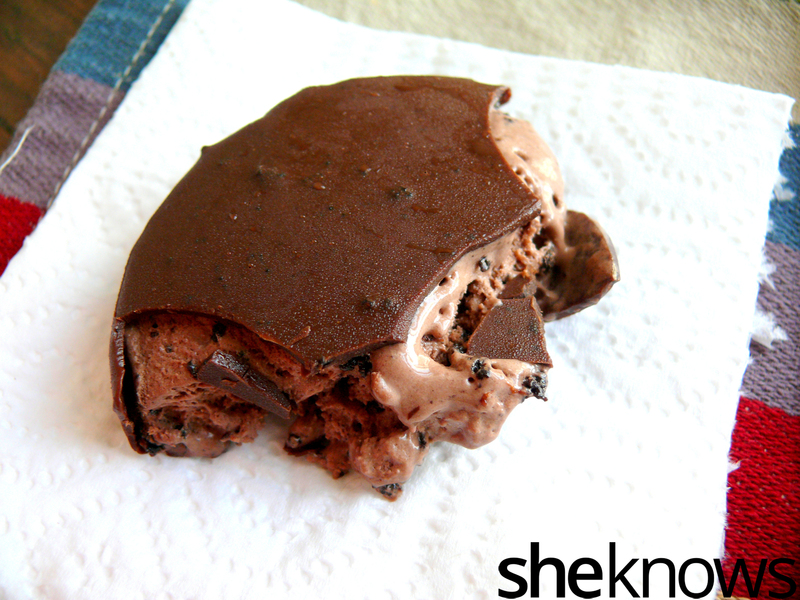 Luckily there was hope for salvation in the form of an Oreo cookie Klondike bar. 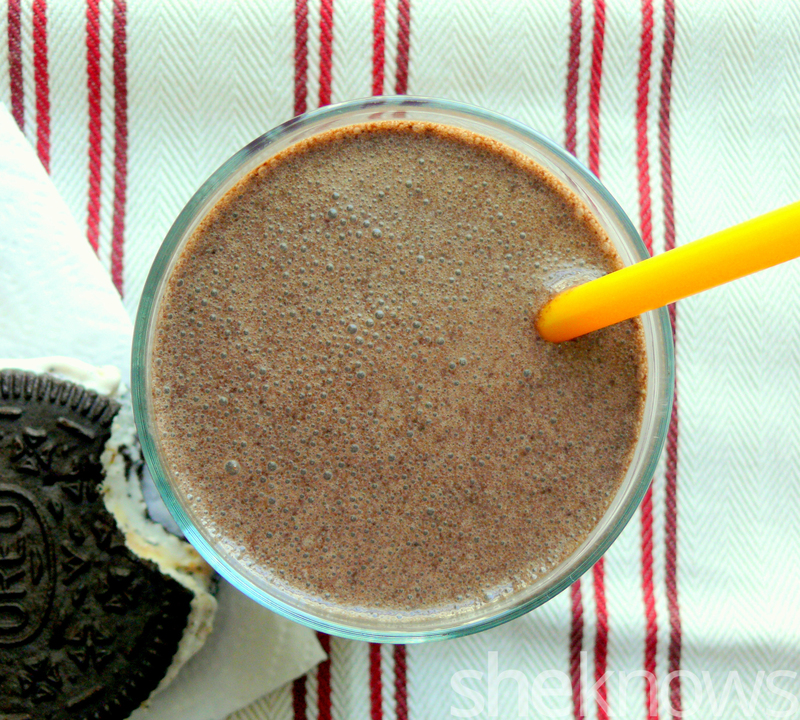 When I was growing up, Oreo milkshakes were basically my favorite thing about summer. Being a coffee lover, it would seem this version would be a total home run for me. 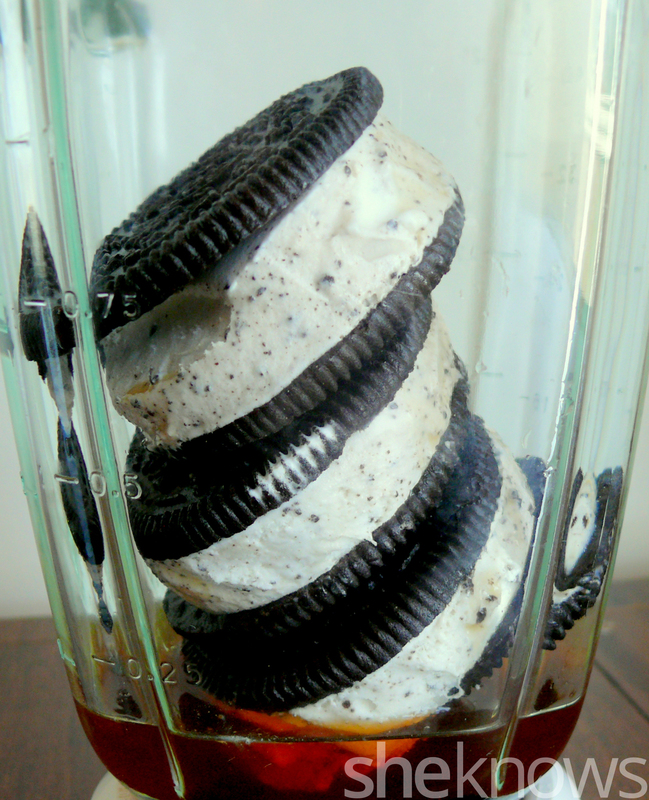 That dark, chocolaty, uniquely Oreo flavor combined with the vanilla ice cream and coffee made for a shake that was the best version of adult cookies ‘n’ cream I could imagine. 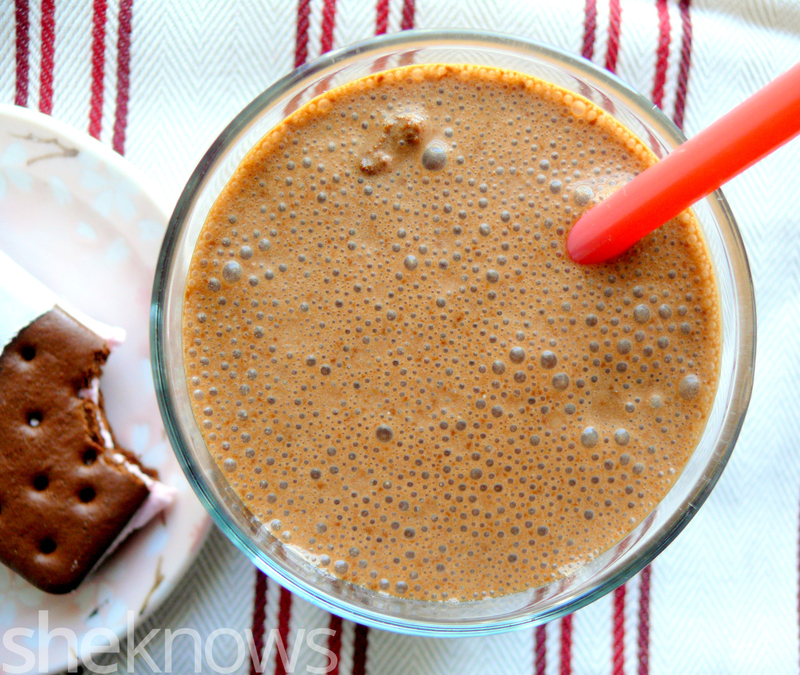 So, should you try ice cream sandwich coffee shakes this summer? Yes! Stick to ice cream treats with a traditional cookie sandwich structure, but apart from that, feel free to play around until you find your perfect flavor. Me? I’m team cookies ‘n’ cream, even after all these years.